The writer of this book Dr. Jagdamba Prasad Gaur was born on 26th September 1957 at Sunaam, Distt Sangrur, Punjab at the home of Pt. Ravi Datt Gaur whose father Pt. Durga Das Gaur was a renowned astrologer. The mother of Dr. J.P. Gaur Mrs Vijai Rani Gaur was a learned and religious lady. By the grace of God Dr. Gaur inherited good values from his mother and knowledge of astrology from his grand father at a very early age. He continued work of astrology along with college studies using his intelligence, patience and determination and graduated from Punjab University. In 1977 he passed Prabhakar from Punjabi University. At present he is residing and practicing astrology at Jagraon, DIstt. Ludhiana. His knowledge of religion, devotion to God and dedication fro astrology has impressed people of Jagraon and surrounding areas very much. By God’s grace Dr. Gaur came in contact with renowned astrologer Shri Manik Chand Jain who imparted knowledge of various spheres of astrology to Dr. Gaur between 1976 to 1982. Dr. Gaur established Jagdamba Astrological Research Centre at Jagraon in 1980 that was recognized later by Punjab Government. In 1991 he participated in the first conference of Future Point and Visited Maldive, Canada and U.S.A. between 1992 to 1998. He served a large number of people by astrology and earned acclaim. Then he started writing on astrological subjects. His articles on mundane astrology and serial ‘Planetary Positions and Trade’ are regular features of Future Samachar. People acknowledge his mastery of ashtakvarg. Dozens of Astrological conferences have awarded him degrees like Jyotish Samrat, Jyotish Marmagya, Jyotish Shiromani etc. The International Council of Astrological and Occult Studies, Hyderabad conferred the degree Doctor of Astrological Science and All India Federation of Astrologers’ Societies has awarded Jyotish Mahamahopadhyay to Dr. Gaur. He is governor of Punjab region of All India Federation of Astrologers’ Societies and Chairman of it’s Ludhiana Chapter. This book is before you. I hope it’s deeply researched contents and lucid style will be useful for readers. This book is bound to be a milestone in the field of mundane astrology. Sitting on golden chariot, guide to all, enlightened Lord Sun gives light to all directions and remains visible. During night he travels in dark space and inspects worlds after keeping gods and humans busy in their work. A slight deviation in his administration causes lawlessness, turmoils, excessive rains, less rains, drought, landslide, earthquake etc there is uproar and distress everywhere. These words indicate that and There is definitely some relationship between planets, stars and good-bad events taking place in the world. 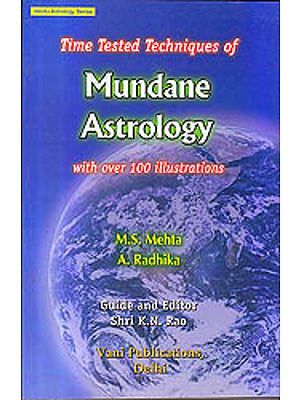 Mundane Astrology is a branch of astrology where good-bad results and events of villages, cities, provinces, countries, health of people, financial, social and political situations, things, weather, earthquakes, winds-storms, natural calamities, contagious diseases, relationships of nations, crops etc are analysed. The financial, social and political situation of a country or province is sometimes very stable and sometimes it is totally fluid. The growth of a plant is not always the same although the land, seeds, fertilizer, water etc are same. During one year the production is sufficient while in another year it is poor in spite of good inputs. On one part of earth there are natural calamities, agonies, turmoils. At the same time at another part there is peace and progress. These phenomenons indicate that there in definitely some reason behind this mystery that at one place there is prosperity at one time but all of a sudden it is engulfed by strife. During one year the rains are heavy causing floods but in next year there is drought. Occasionally a commodity becomes expensive all of a sudden and sometimes it’s prices remain low for a long time. The knowledge of all these matters is obtained from Mundane Astrology. As there are elections on earth for selection of prime minister etc for establishment of a democratic government and qualifications abilities of elected persons influence the areas ruled by them, in the same manner every year a celestial council is formed by planets to run the world. In celestial council apart from king and minister there are 10 lords of 4 months crop, winter crops, weather and rains, juices, trades, metals, treasure, security and fruits-flowers. I have written this book after going through books compiled by great scholars who were capable of knowing the happenings of 3 worlds such as Garg Samhita, Vrihatsamhita, Varahisamhita, Narpatirjayach, Savatsari Paddhati, Varshprabodh, Ardhmartand, Ardhprakash etc. 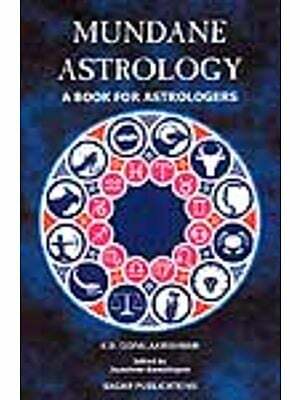 Astrology in its original shape exists since time immemorial. In vedang literature this science is termed as eyes of vedas. Without its help the social and religious rituals of shraut and smart communities (saints and familymen) were not considered as valid. Vedasya nirmalang chakshu jyoti shastra malkalmasham. Vinaitadakhilam shraut-smart karmani na siddh yanti.. In ancient literature, astrology is divided in 3 parts – Mathematics (SIdhanta), Science of time (Hora) and mundane Astrology (Samhita). Ganitam jatakam vipra sanhita skandh sankshitam.. In mathematics, there are methods to calculate longitude etc of planets and ascendant by addition, subtraction, multiplication, square etc. In hora, there is analysis of good-bad events in the life of a person. 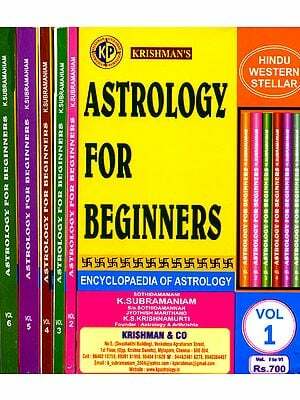 The book that contains all subjects of astrology is samhita. In samhitas, ancient scholars such as Brahmagupt, Bhattotpal, Bhaskaracharya, Aryabhatt, Varahmihir etc have described in details the effects of celestial happenings and rain etc on earth. In today’s world, due to development of sciences and computers the calculation processes have become quite complicated. Therefore today’s astrologers prefer to learn only predictive astrology. However without knowledge of ancient branches of astrology, the knowledge of predictive astrology is indeed incomplete. The present book that has been written by Dr. Jagdamba Prasad Gaur and published by All India Federation of Astrologers’ Societies on mundane astrology will go a long way in guiding the students of present age. This book has been divided in 5 parts. 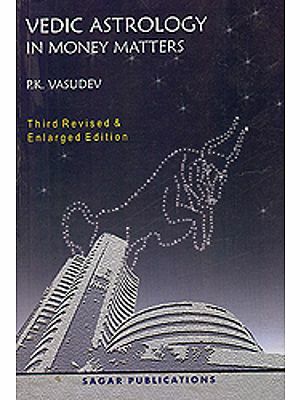 i. Samvatsar Analysis, ii. National –International Events, iii. Weather iv. Crops and v. High –Low prices Analysis. 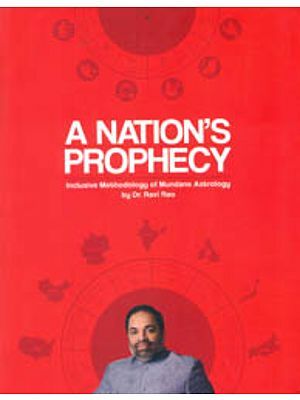 In this book, the national astrology has been discussed by imagining India in the shape of a tortoise and thereby methods for forecasts of states and provinces of those days have been described in a simple language. The 12 houses of mundane astrology have also been evaluated that are very useful for students. Apart from it results of eclipses in 12 months are present in this book. The part v deals with high-low prices of various goods by the help of Sarvatobhadra Chakra, transit of planets, eclipses etc. this information is useful particularly for trades of grains. I hope the present book will be useful equally for both students and practising astrologers. Shri Jagdamba Prasad Gaur and Shri Arun Bansal, President, All India Federation of Astrologers’ Societies both dererve compliments. My best wishes are with them.